Leading rapid mobile app platform, SmartUX™ to interoperate with VMware Workspace™ ONE™ to empower organizations to create, secure and deploy mobile apps quickly and efficiently. Enterprises can accelerate digital transformation by using PowWow SmartUX to quickly transform business applications and workflows into modern mobile experiences, and deliver to end users through a consumer simple, enterprise secure digital workspace. PowWow Mobile, the leader in enabling enterprises to simplify and extend business apps to mobile, today announced at VMworld 2017 that it has expanded its partnership with VMware to simplify and secure the delivery and management of next-generation mobile apps for the enterprise. SmartUX, with the VMware Workspace ONE platform, powered by AirWatch, empowers organizations to create, secure and deploy next-generation mobile apps quickly and efficiently. Through seamless drag-and-drop integration of AirWatch unified endpoint management technology, in addition to the newly introduced technology preview of Mobile Flows, enterprises will benefit from unmatched speed and control over the delivery of enterprise mobile apps. PowWow Mobile disrupts the speed, complexity and economics commonly associated with delivering productivity-enhancing apps to an increasingly mobile-first workforce. The PowWow SmartUX Platform, a rapid mobile app solution, simplifies and extends business apps to mobile, delivering modern omni-channel experiences that transform how work gets done in the digital era. With SmartUX, users can easily connect to any application or data source and rapidly design and deploy personalized, intelligent and secure apps that run anywhere, on any device (PC, laptop, tablet, phone or watch), and any OS (iOS, Android, Windows 10 or HTML5). Enable Enterprise Grade Security & Governance: Eliminate security hurdles with complex coding for app integration and easily secure apps right from the start. SmartUX enables seamless drag-and-drop security components that provide context-aware app security from the screen to the field level when designing apps. Easily create policy templates for quick re-use across an app portfolio; and enact data content protection through placing restrictions on unauthorized app behavior. Streamline App Publishing to AirWatch Unified Endpoint Management: Remove the burden for AirWatch administrators requiring lengthy development cycles and enable a seamless and secure experience for end-users. Easily publish apps created within SmartUX with one click to the AirWatch Console and Mobile Application Management (MAM) catalog, ongoing updates are also pushed automatically enabling real-time security and compliance. Advanced App Analytics & Insights: Identify issues and increase agility with comprehensive app analytics. Leverage the analytics and performance insights of Apteligent by VMware for apps created within SmartUX. This integration complements PowWow’s analytics suite, SmartUX Dashboard, by enabling a richer view into behavioral data points, which gives organizations complete operational visibility into their entire app portfolio. Build Mobile Flows: With integration to the Mobile Flows tech preview, SmartUX helps increase employee productivity through micro-moments. SmartUX allows users to build and incorporate Mobile Flows right into their apps effortlessly via drag-and-drop components, which provide deep context-sensitive notifications and alerts on designated screens. SmartUX also expands the capabilities of Mobile Flows by enabling access to any backend data source, with or without API’s, such as Oracle, SAP or any customized business system. To learn more about our Workspace ONE integration, click here or stop by booth #336 in the Solutions Exchange at VMworld. 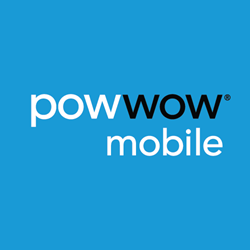 For more information on PowWow Mobile, visit http://www.powwowmobile.com and follow @powwowmobile on Twitter. PowWow Mobile is redefining the mobile enterprise. Our rapid mobile app solution, SmartUX™, enables organizations to simplify and extend business apps to mobile by modernizing and streamlining existing processes to deliver new and intelligent “enterprise to edge” experiences. Built on best of breed open technology, SmartUX provides a low-code, drag and drop environment for rapidly creating and deploying secure cross-platform mobile apps. With unmatched accessibility and ease-of-use, our solution facilitates collaboration between IT and the business, significantly reducing backlogs and accelerating time to value. Enterprises in the financial services, manufacturing, telecom, software, transportation, consulting and the public-sector industries trust PowWow Mobile to empower their anytime, anywhere workforce; increase agility and competitive advantage, and drive innovation and productivity through smart business mobile apps. Based in San Francisco, PowWow Mobile has garnered prestigious awards and recognition from AOTMP, Compass Intelligence, Gartner and more. Learn more about how PowWow Mobile is redefining the mobile enterprise at http://www.powwowmobile.com, on Twitter @powwowmobile or on Linkedin.